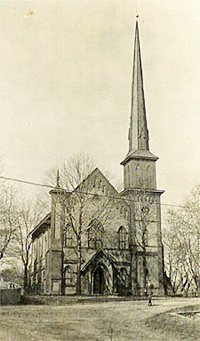 The First Presbyterian Church of Hokendauqua dates its origin to the year 1854. At that time the Thomas Iron Company was started and seven members of the First Presbyterian Church of Catasauqua, then under the pastoral care of Rev. Cornelius Earle, came here to reside. Anticipating the growth of the village, a preaching service was commenced and seven persons were dismissed from their Church on, July 15, 1855. The original members were Samuel and Rebecca Thomas, Dr. Walter W. Walters, William and Mary James, John McIlhenney and Thomas McClintock. Thus the First Presbyterian Church of Hokendauqua was organized. Samuel Thomas and Dr. Walter W. Walters were ordained as elders. This action was formally ratified by the Third Presbytery of Philadelphia. The name of the church was entered upon the roll and Rev. 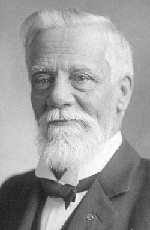 Cornelius Earle was appointed to serve it as Stated Supply. Later, by a new geographical division of the Presbyteries, the Hokendauqua Church fell within the bounds of the Fourth Presbytery of Philadelphia. About the same time, a Sabbath School was formed to care for the children, and the threshing floor of a large barn, owned by the Thomas Iron Company was used for the Church and Sabbath School services. The pulpit and pews of the old house of Worship at Catasauqua were placed in this barn for the worship services. The barn was later destroyed by fire. On application to the Court of Common Pleas of Lehigh County, a charter was obtained on November 8, 1855, under the style and title of the First Presbyterian Church of Hokendauqua. Samuel Thomas, David Thomas, Dr. Walter W. Walters, Samuel Kinsey, Jacob Mickley Jr. and, Charles D. Fuller were chosen to serve as trustees. Believing the village would grow rapidly around the Thomas Iron Company, the company resolved not to sell lots to outside parties hoping to exclude drinking saloons and other haunts of vice from the neighborhood of their works. Owing to this policy the growth of the village and the church was retarded for a long time. Soon after Rev. Earle commenced to preach here, Rev. Irwin of the Old School Presbyterian Church of Catasauqua also entered on the ground, and thus the division that had wrought so much injury elsewhere, operated to the injury of the Church at Hokendauqua. This was kept up by his successors until the reunion of the two Presbyterian Assemblies in 1869, healed the breach and allowed the Presbyterian elements of the village to unite in the support of this enterprise. This Church suffered for years for the want of a suitable place of worship. Forced to meet in a room that was unattractive, and inconvenient of access, the people around it hardly knew of its existence. Those who most carefully studied the philosophy of these things and the condition of matters here were satisfied that a Church edifice was very necessary. But alas while God's claims are strongest, the world's clamor is ever the loudest. Hence, though long talked of and much needed, action was for one cause or another, deferred. At length in autumn of 1866, it was felt that the matter must not be postponed any longer. Rev. 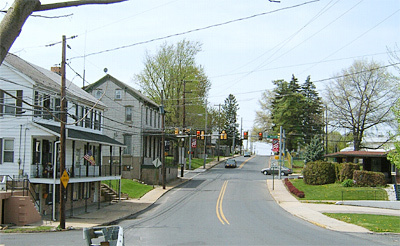 Earle, who had been in charge from the beginning, urged that the two morning and evening services he held at Catasauqua, sufficiently taxed his strength and he desired to be relieved from the afternoon service at Hokendauqua. And further, that to secure this and justify the calling of a Pastor to the latter place, measures should be taken to give more character and importance to the post, and foremost among these was the erection of a neat and attractive House of Worship. On August 24, 1866, a committee was appointed to solicit donations. The result of the first effort among the people was subscriptions to the amount of $2,300. An appeal was made to the directors of the Thomas Iron Company and they very generously gave three lots of ground, together measuring 150' x 150' and $3,500 in cash. Thus encouraged it was felt the time had come to "Rise up and Build" and the Rev. Earle, Edwin Mickley and Theo. H. Green were appointed to a Building Committee. A place on the committee was urged upon Mr. Samuel Thomas, President of the Thomas Iron Company, which he declined because of the pressure of official duties. He however consented to act as advisor and until the building was completed, was the real head and front of the committee. The corner stone was laid on a Sunday afternoon, August 11, 1867, with the appropriate ceremonies, a large audience being present. At the appointed time, 2:30 o'clock, the Sabbath School, numbering 215 members including teachers and scholars, marched in procession from their old quarters to the ground and opened the exercises with singing, led by the Choir of the Presbyterian Church of Catasauqua. Rev. James Wood of the First Presbyterian Church of Allentown preached a sermon from Genesis 28:22 - "This Stone which I have set for a pillar shall be God's House." Rev. Cornelius Earle, the Pastor, laid the corner stone and read a Historical Statement. Prayer was made by Rev. James S. Tewers of the Old School Church of Catasauqua. A hymn was read by Rev. Best of the Methodist Church and Benediction pronounced by Rev. Arthur Bogdan, a Nestorian Priest of Belgrade, Servia. Many things conspired to delay the completion of the edifice. The Lecture Room was first opened for service and dedicated to the worship of God on Sunday, May 3, 1868. Rev. Earle presided and preached the dedication sermon. 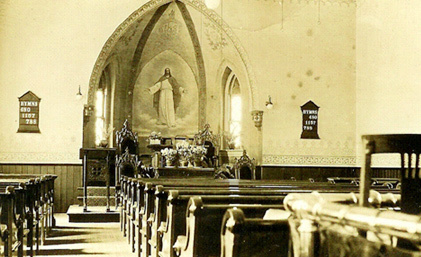 The main church building was finally completed and dedicated on September 26, 1869. At that time Rev. James A. Little, the pastor-elect, presided over the dedication. The church was quite impressive with its original attractive spire that had an elevation of 131 feet and base of 600 feet above sea level. Including a magnificent portrait of the Savior adorning the wall in the rear of the pulpit. Rev. James A. Little was elected at a Congregational Meeting on April 19, 1869, at a salary of $1,000.00 per year. The building of the parsonage began in 1883 and was completed in 1884. The house became known as the "Sunny Side Manse" because it was exposed on all sides to the light. The previous Parsonage was on the opposite corner, north of the Church. Rev. James A. Little and his family moved into the new parsonage on Good Friday, 1884. Rev. Little died on February 2, 1917, having served the congregation for nearly 48 years. The Sunday school was known as the "Snow-bird" Sabbath School so called from the children shaking off the snow from their clothes in coming to the Sunday-school on cold winter days. According to the records in the year 1872 there were 26 teachers and 333 enrolled members in the Sunday school. A fine service has been rendered through the years in the work of the Sunday-school of this Church. It was said that the parents and children all came to the Sunday-school and they stayed for Church "from the oldest down to the crying baby". In 1911, after many improvements were done to the church, a Rededication was held, The auditorium and the vestibule were refrescoed, all the woodwork was repaired and repainted, the new $1,800 pipe organ altered, the pulpit furniture remodeled and several other minor alterations made. A lighting system, comprising gas and electric attachments, modern in every respect, was installed. The choir gallery was enlarged, around which a brass railing was built. A magnificent portrait of the Savior adorned the wall in the rear of the pulpit, an excellent piece of workmanship. Above the picture, 12 incandescent lights were arranged so that when lighted their rays fall upon the portrait, adding to its beauty. The painting was done by Titus R. Case of Catasauqua. Improvements cost $1,200. Rev. H. S. Welty was the second pastor being elected on July 23, 1917. He resigned January 25, 1931 due to failing health after the death of his wife, but continued to serve until April 5, 1931. During his pastorate, the Church was renovated. The church basement was entirely excavated, which prior to this was only partially open. 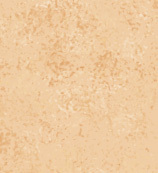 The floors and walls of the basement were concreted. A new heating system was installed and annex was built over the Primary Sunday School to serve as a session room. The pipe organ, which had to be taken apart and repairs made, was moved from the back of the church to the front of the church. A motor driven organ blower was attached. Prior to this air was furnished to the organ manually. Twenty-one memorial windows were placed in the auditorium and annex, the vestibule and Sunday school rooms. A new lighting system was installed and the entire building, both interior and exterior, was painted and decorated. Winding stairs leading to the Sanctuary were replaced. 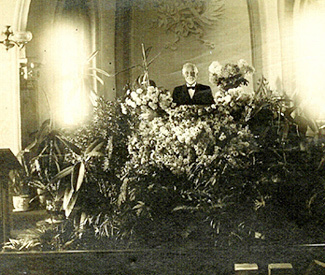 The dedication services were held on Sunday, June 17, 1928. After the pastorate of the Rev. Henry S. Welty, there was a succession of shorter pastorates and each of the Pastors contributed to the life and work of the Church. There were rough periods in the history of the Church but the Church weathered the storms and continued in its service to God. Subsequent ministers included Rev. John T. Wriggins 1931 to 1936; Rev. Harold E. Myers, 1939 to 1942; Rev. Paul C. Jassimides, 1944 to 1949; Rev. R. A. Walter Anderson, 1950 to 1976; Rev. James Cranston, 1968 to 1975; Rev. William Hess, 1976 to 1980; Rev. John Arnold, 1981 to 1983; Rev. David B. Batchelder, 1984 to 1990. Improvements continued during the years 1928 to 1974. A Hammond Electric Organ was installed in 1947, the exterior of the church was brickoted in 1951. In 1950, due to a violent wind and rain storm, extensive damage was done to the exterior and interior of the church. The insurance covered the roof repair and interior restoration. Due to the deterioration of timbers at the very peak of the steeple, it was lowered 30 feet in 1953. In the intervening years new carpet was laid in the sanctuary; the primary department was converted into a Chapel; an annex was built which provided four class or meeting rooms with modern bathroom facilities. In 1955, the session room was dedicated to the Williams' family for their generous years of service and dedication. The sanctuary was again extensively remodeled in 1975 and the decision was made to demolish the 91 year old Manse. In 1976, renovations were made to the pastor's office with proceeds from the memorial fund. In 1978, a lot and building located behind the church was purchased. The building was known as the "Carpenter's Den" and used for the youth group program. A few years later, due to poor structural conditions, the building had to be demolished. 1979 through 1980 renovations were made to the annex and the secretary's office. The Women's Association funded the renovations to the kitchen. October 1992 Edward J. Santana-Grace answered the call as our 11th minister of the word. Under his guidance, our church instituted different ministries, including an Inquirers Class for prospective new members or those who wish to explore their faith and learn more about our church; A Marriage/Family Enrichment Ministry; and a Thanksgiving Eve Worship Service was promoted through our church family and community. While at our Church, Edward J. Santana-Grace attained his PhD in Relationships & Marriage. He became an authority in this field and developed an education and skills program which has benefited many individuals and families within and outside of this church. Edward is truly gifted in this ministry. He also published a booklet, "Getting to Know God; Knowing God is the best cure for Resentment, Anxiety, and Depression. Pastor Santana-Grace left our Church due to a family move to California. In November 2006, Henry A. Distler was ordained and installed as a commissioned lay pastor and as our interim pastor. In May 2009, our PNC called Pastor Joyce Smothers, who was subsequently installed as a full-time pastor. Pastor Smothers retired in 2016.